In this chapter of the novel,Jane met her new friend-Helen.What Helen said really impressed me a lot,driving me think deeply. “Life is too short to hate other people.We all have faults,but when we die,only the pure flame of the spirt will be left.That's why I never think of revenge,I never consider life unfair.I live in calm,looking forward to the end." Honesly speaking,I complained about my life or people around me now and again,wodering why it was always unfair to me.However,think it over,I should't have been so mean.Time flies.We need to expand the width of life instead of wasting time to think about something meaningless. My friend Jane is a pretty and cute girl. She has a pair of big and bright eyes, which seem as if they can speak. Under her small lovely nose,there is a little naughty mouth. Her hair is straight and long, hanging down to her shoulders. In one word, she is a healthy girl. She is the best student in her class. She always gets full marks in the exams. What's more, she can play the piano, and she sings and dances well. In every New Year's party,she plays the piano and sings sweet songs for her classmates. Everybody loves her very much. My good friend is Mei. She’s a girl. She is my classmate. Mei is tall and thin. She has two big eyes and long hair. She likes listening to music and reading books. Sometimes we listen to music together. She likes summer. Because she can swim in the summer holiday. She likes pink and white. She is in Class Four, Grade Six with me. She usually goes to school by motor cycle. Sometimes she goes to school on foot. We often go shopping together on the weekend. 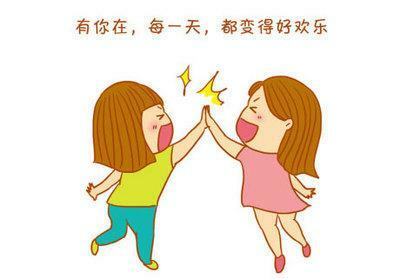 We will be good friends forever.